These cupcakes are the best!!! The spice flavor is just outstanding and I'm sorry it took me so long to try them. If you love gingerbread and all things spice then you have to make them. The recipe has been hanging around in my files for a while ( I say that a lot, don't I?) and today I wanted to try making cupcakes using parchment paper liners, rather than just the usual muffin paper liners and I thought of this one to try. This recipe is from the Beverly Hills cupcake bakery, "Sprinkles". Probably by now you've caught the show, Cupcake Wars", where the owner, Candace Nelson, is one of the judges. I baked them in a jumbo muffin pan, thinking they needed more room than a standard pan and they came out nice and big, which is kind of what I was aiming for. It was something a little different baking them in the parchment and I really liked the presentation. I'm thinking maybe even a deeper muffin pan would work. Big cupcakes like these could also be split in half (like a cake) with frosting in the middle...kind of a layered cupcake. Oh, the possibilities! 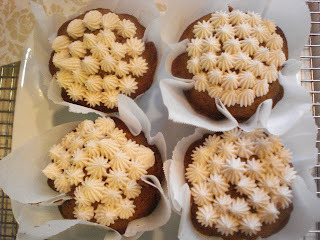 For the frosting, I decided not to use the one that was with this recipe (which was a White Chocolate Cream Cheese frosting that I'm sure was fabulous!). And I didn't want anything to compete too much with that delicious spice flavor so I chose a Honey Cinnamom Cream Cheese Frosting that worked perfectly. The parchemnt paper was being stubborn so I turned over a cup and pressed the paper into the bottom, creasing the edges to have it keep a shape that would fit into the cups. Then to keep the paper in the cups, I put a drop of butter (like glue) to hold the paper down. Begin by whisking the dry ingredients and spices in a bowl, then set it aside. Combine the molasses and milk in a measuring cup. Cream the butter on medium high speed for 3-5 minutes. Then add the sugar and beat til light and fluffy. The add the molasses/milk mixture alternately with the flour. Scrape the bowl with a rubber spatula to be sure it's all incorporated. Then scoop the batter into the parchment liners and bake. Let them cool, then frost. Makes 12 regular size or 6 jumbo size. 1. In a medium bowl, whisk the flour, baking soda, spices and salt. Set aside. 2. In a glass measuring cup, mix the molasses and milk and set aside. 3. Cream the butter on medium-high speed for 3 - 5 minutes. 4. 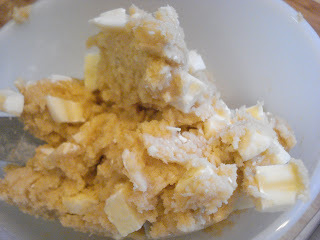 Gradually add the sugar to the creamed butter and beat til light and fluffy. 5. Beat in the eggs, one at a time, beating well after each addition and scraping the bottom and sides of the bowl. 6. 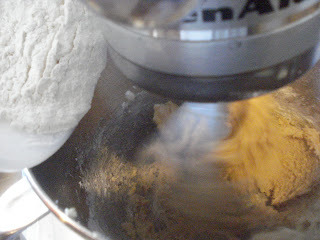 With mixer on low speed, add the flour mixture and milk/molasses mixture alternately, beginning and ending with the flour. Scrape the bowl occasionally with a spatula. 7. Scoop the batter into the paper liners or parchment and bake for approx. 20 minutes, or til a toothpick inserted into the center comes out clean. Don't overbake. 1. Cream butter til light and fluffy. 2. Add the cream cheese and beat 2 minutes. 3. Add the honey and cinnamon and beat together. 4. 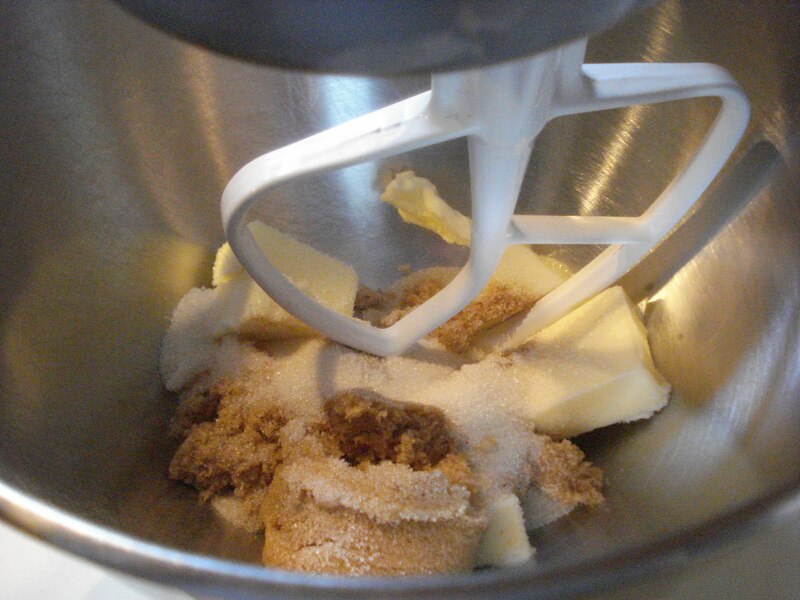 Gradually add in the confectioners' sugar, a little at a time til it's smooth, then add in the milk. If the consistency is a little too thin, add in more sugar or if too thick add in a little more milk. 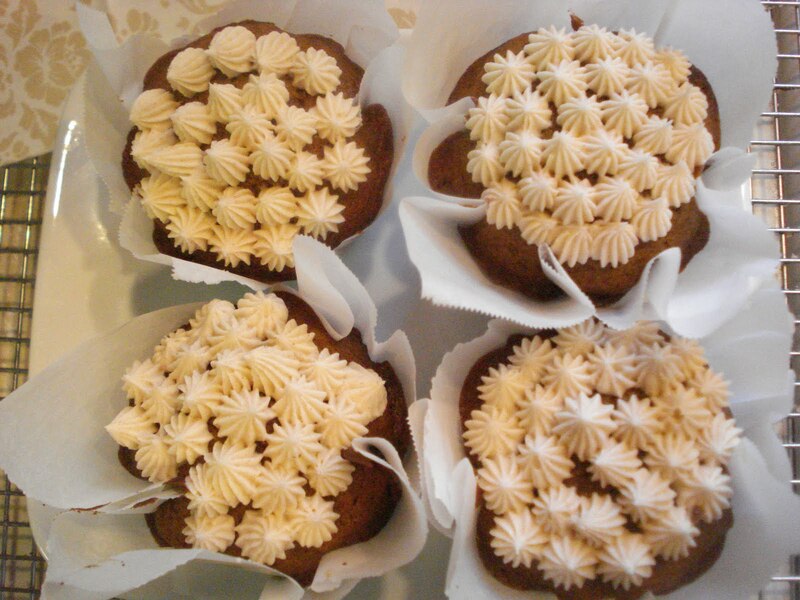 Fill a piping bag with frosting and decorate the tops or just use a knife to frost. This is another cookie from Ruby et Violette Bakery. 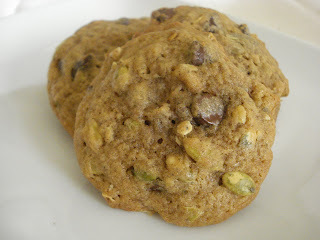 The original recipe I found was for their chocolate chunk cookies which had been posted in The New York Times in 2002. Wendy Gaynor ( the original owner of the bakery) gave a variation of this chocolate chunk cookie by swapping out the dark chocolate for white chocolate, adding some lemon oil or extract (which is what I used), and changing the flour amount. She calls them "utterly devine"...and they are! 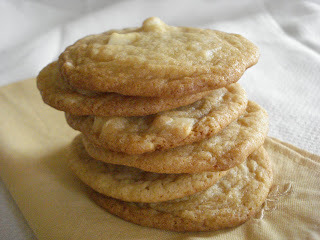 I love the white chocolate chunks in them and the lemony flavor is wonderful. I didn't have any chips but I did have a bar of white chocolate that I chopped up and that worked great because I really got nice chunks of chocolate. Cream the butter for about 2 minutes. Then start adding in the sugars. Add in the eggs, one at a time, then the lemon oil or extract and combine well. Mix in the dry ingredients on low speed til all combined. 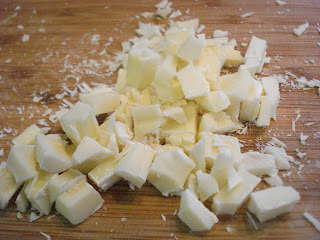 Then, chop up the white chocolate, if using chunks, and add it in to the dough, stirring just til combined. You get a nice chunky dough. 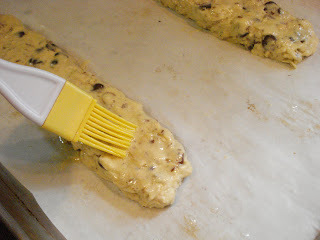 Scoop heaping teaspoonfuls onto parchment lined baking sheets, spacing 2" apart. Bake about 12 minutes, checking after 10 minutes. They should be lightly browned on the edges. Makes about 3 - 4 dozen, depending on the size. 2 sticks(1 cup) unsalted butter, room temp. 1. 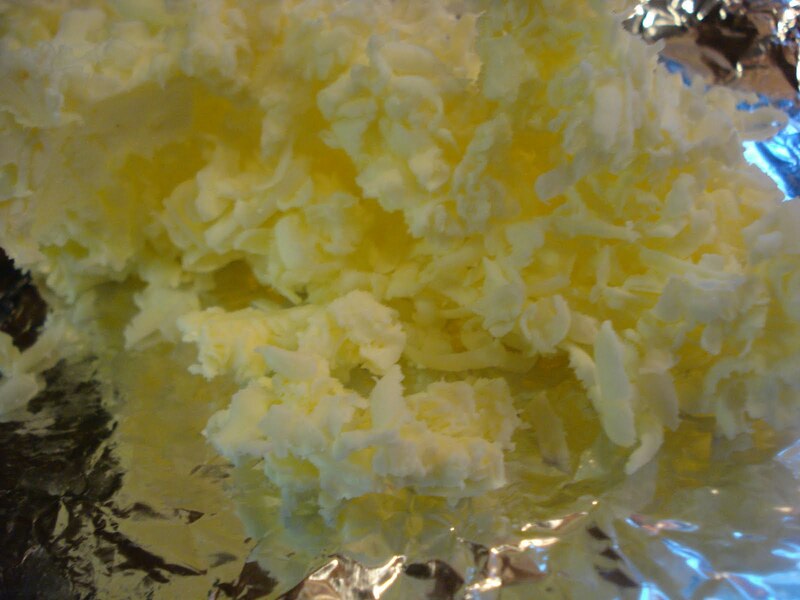 Cream butter for about 2 minutes, or til light and fluffy. 2. 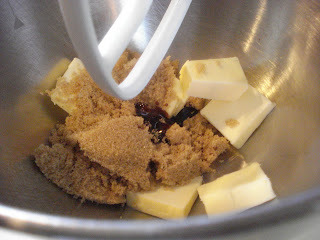 Add in the sugars, beating well to combine and scraping the bottom and sides of the bowl. 3. Beat in the eggs, one at a time, then add the lemon oil or extract, scraping the bowl again. 4. In a medium bowl, combine the flour, baking soda and salt and add to the creamed mixture on low speed. Don't overmix. 5. Stir in the chocolate chunks. 6. 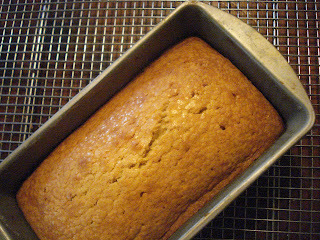 Scoop heaping teaspoonful amounts onto the baking sheet, placing 2" apart. 7. Bake for approx. 12 minutes, checking after 10 minutes. 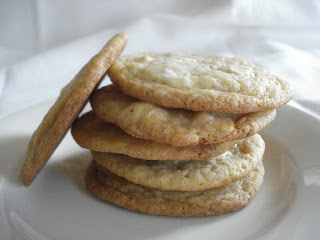 The cookies should be lightly golden brown on the edges. I don't want to mislead you...these cookies are pumpkin cookies but only because they have pumpkin seeds in them rather than pumpkin puree. 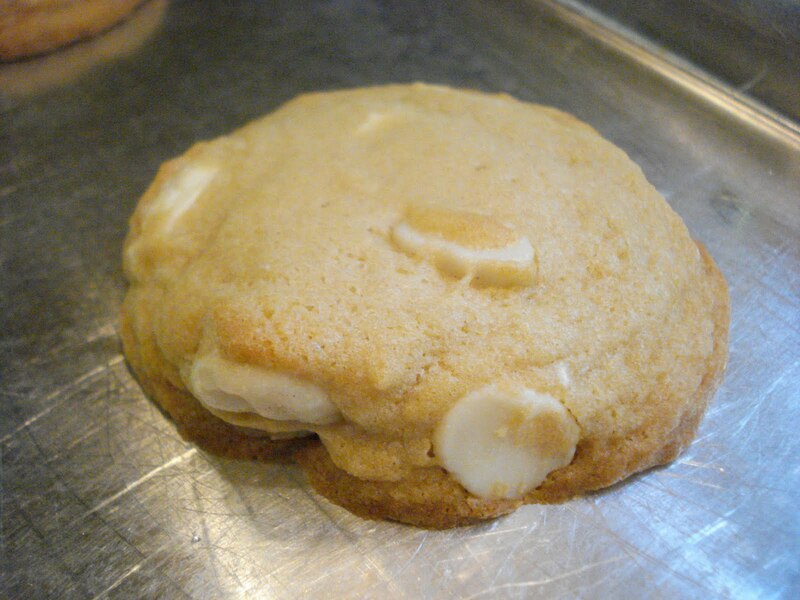 So, now that I've cleared that up let's talk about the cookie. 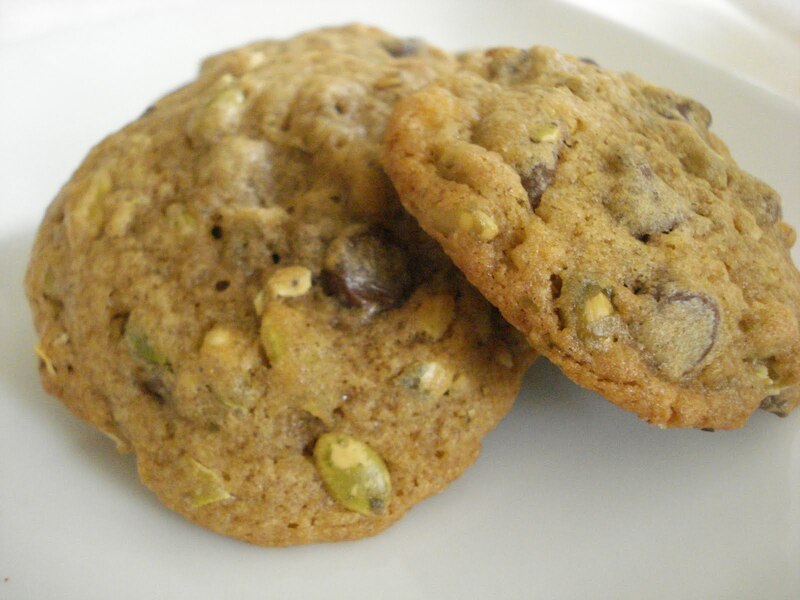 It could really be called spice cookie with pepitas and chocolate chunks ( or chips). 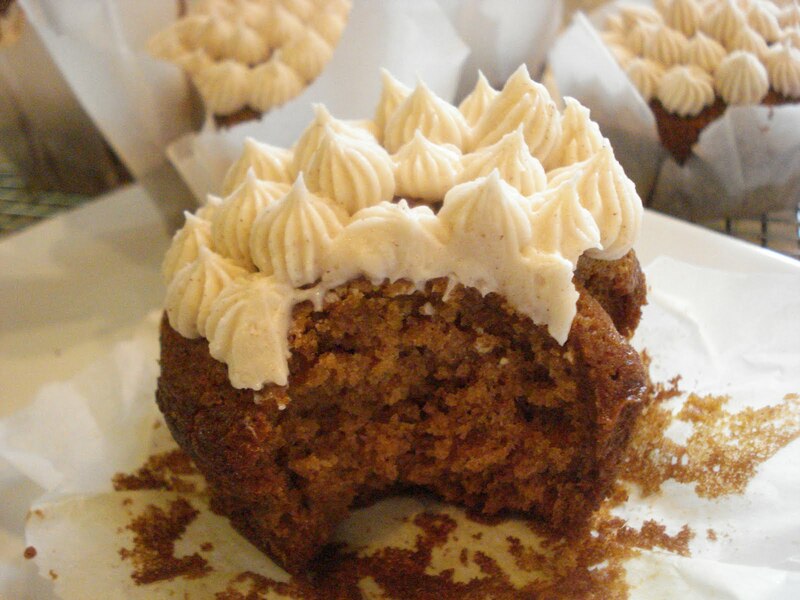 It's a soft cookie with pumpkin pie spices, giving it that wonderful spice flavor. And don't buy pumpkin pie spice already made, making your own is really a "no brainer" and I'm sure you already have the spices you need in your cabinet. I spotted this recipe quite a while ago and had been meaning to make it around the holidays. So, better later than never! It comes from a bakery in NYC called Ruby et Violette, and although I've never been there, it will certainly be on my list of bakeries to visit when I can manage to coordinate my schedule with a couple of my friends and trek into the big apple. I really love this cookie. My son, Kris wasn't so thrilled with it. He devours...make that inhales chocolate chips cookies so I think he was expecting a cookie more like that. I love the pepitas in it but I especially love the bites of chocolate throughout. It may not be the preittiest cookie on the block but what it lacks in looks it more than makes up for in taste. First whisk the dry ingredients together. 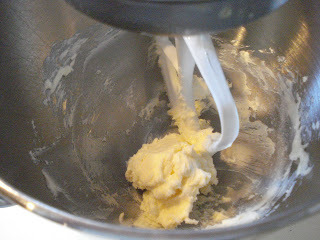 Then cream the butter and sugars in a mixing bowl. I added a teaspoon of molasses because I didn't have any dark brown sugar, although I'm sure light brown would have been just fine. 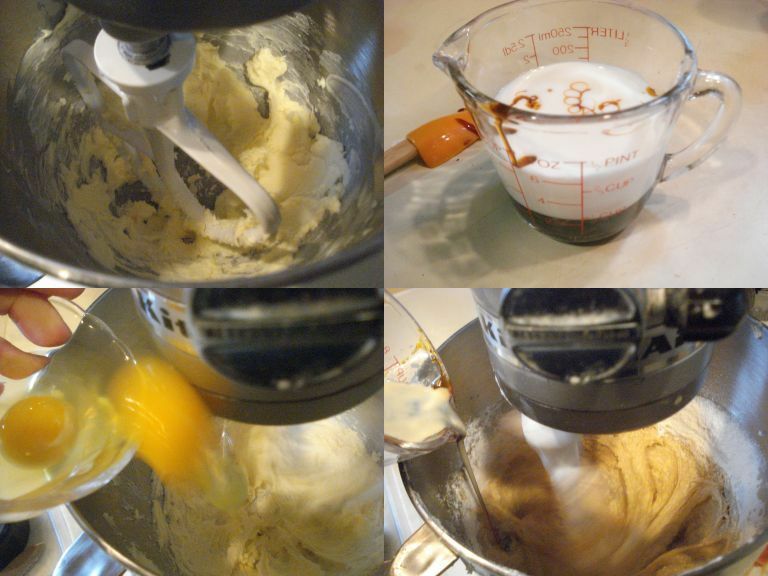 Add the eggs and vanilla to the creamed mixture and beat on low speed til combined. Mix the dough just til that's all combined. 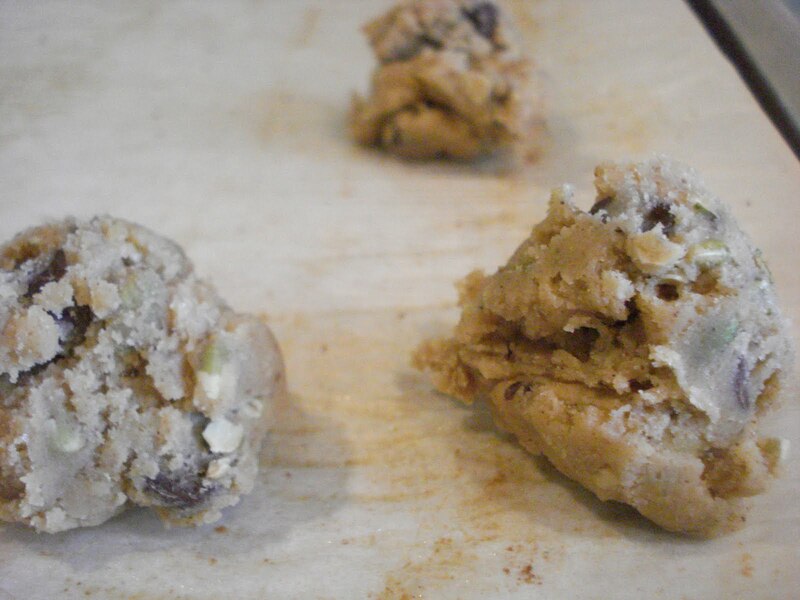 You'll need to refridgerate the dough til nice and cold, (preferably overnight), for at least 2 hours. Then scoop heaping teaspoonfuls of dough onto the parchment paper lined sheets and bake about 13 minutes. 1. 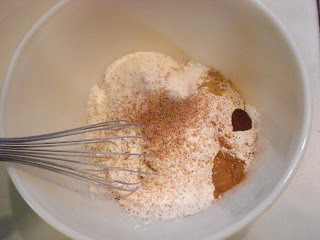 In a medium bowl, whisk the flour, baking soda, salt and spices. Set aside. 2. Cream the butter and both sugars in a mixing bowl til thoroughly blended, scraping bottom and sides of bowl. 3. Add the eggs, one at a time, then the vanilla, beating on low speed til combined. 4. Add the dry ingredients til just incorporated. Don't overmix. 5. 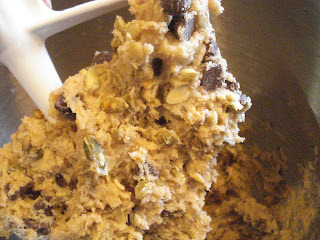 Add the pumpkin seeds and chocolate chunks (or chips) and mix til just incorporated. 6. 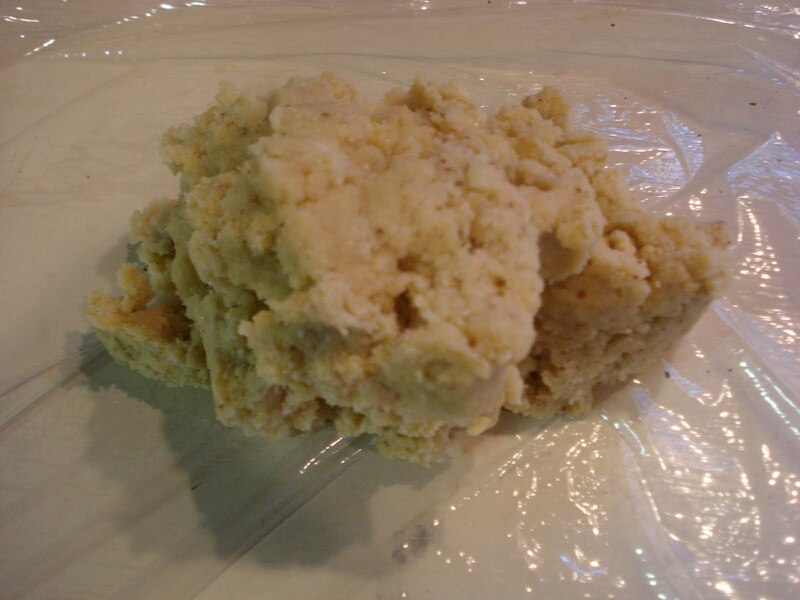 Chill the batter til cold, at least 2 hours but preferably overnight. 7. Once chilled, scoop heaping teaspoonfuls of dough onto a parchment lined baking sheet, spacing 2" apart. Bake 13 minutes, or til the edges are slightly golden brown. Cool on baking sheet several minutes, then transfer to wire rack. 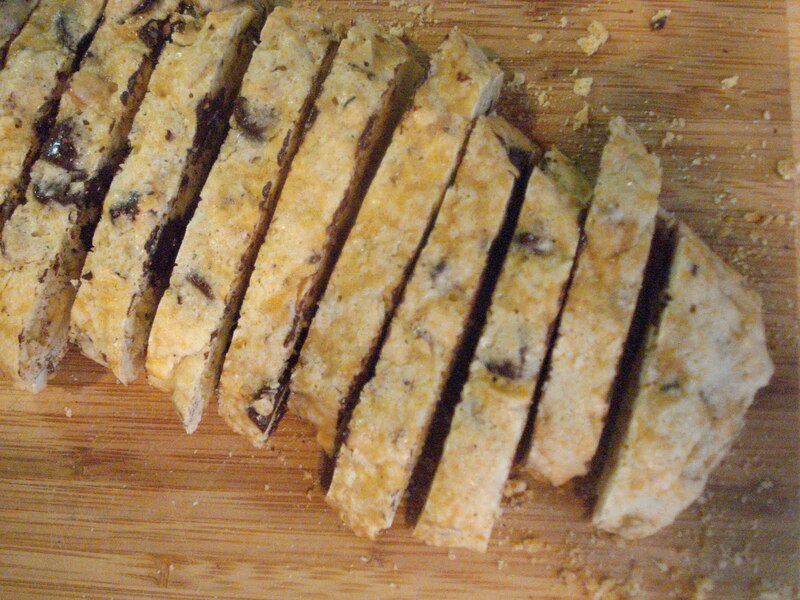 I got a call the other day from someone who requested "hard" biscotti, as he called it. He said he didn't like any other kind because he liked to gnaw on it! What he was referring to, obviously, was the more traditional Italian biscotti using not oil or butter, just eggs. 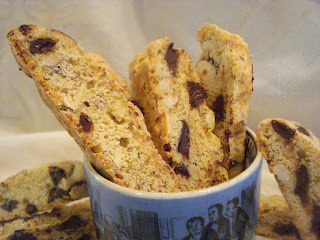 So, having already made this kind of biscotti and actually a recipe similar to this one, I wanted to research and find a new one. 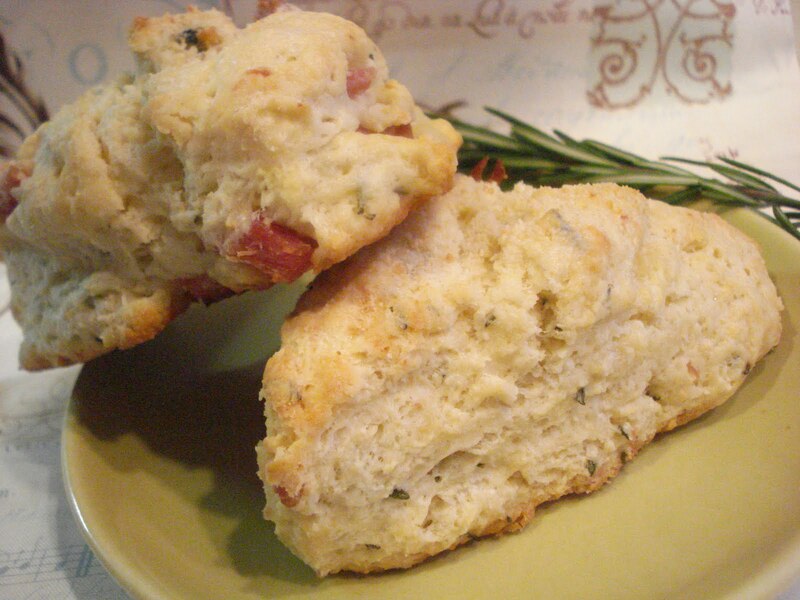 This recipe is from Gina De Palma's book, "Dolce Italiano". She's the executive pastry chef at Babbo, Mario Batali's restaurant. Although the name of this biscotti is Mosaic, mine doesn't look too colorful because I chose to use hazelnuts and almonds rather than pistachios, which would have given the biscotti a more "mosaic" coloring. Dried cranberries or dried cherries would have also helped give more color. 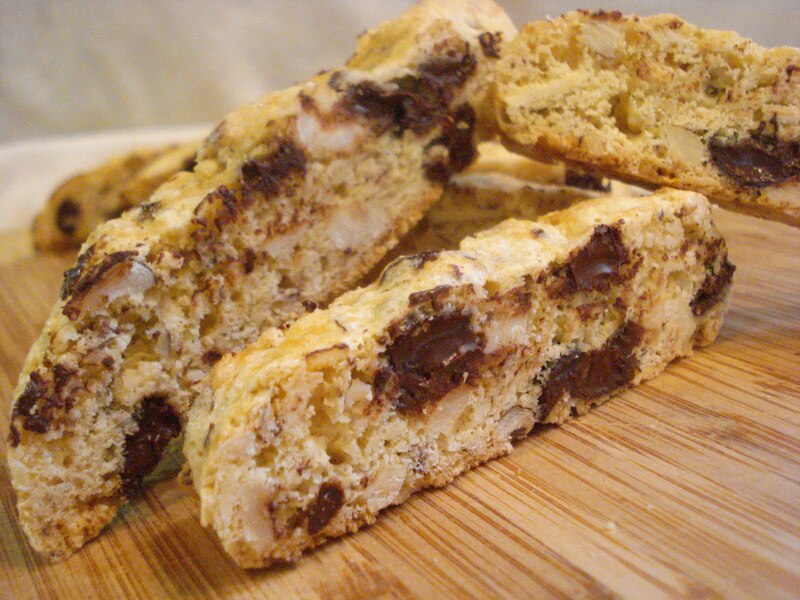 I love this biscotti. It's certainly crunchy...that alone gets my vote, but I really love the hazelnuts and chocolate together. I used bittersweet chocolate chips but semisweet chocolate would be great, too. And, because there's no fat in it other than from the egg yolks, could we call it healthy? Well, maybe just a little! 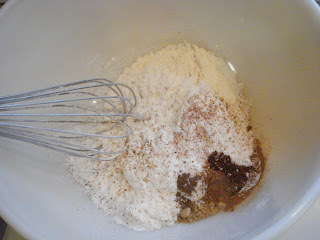 So first whisk the dry ingredients together in a medium bowl and set aside. Then beat the eggs and yolkss and 2 cups of the sugar. Beat in the vanilla, followed by the dry ingredients, then the chocolate and nuts. Divide the dough into 5 logs ( I halved the recipe and just formed 2 logs). 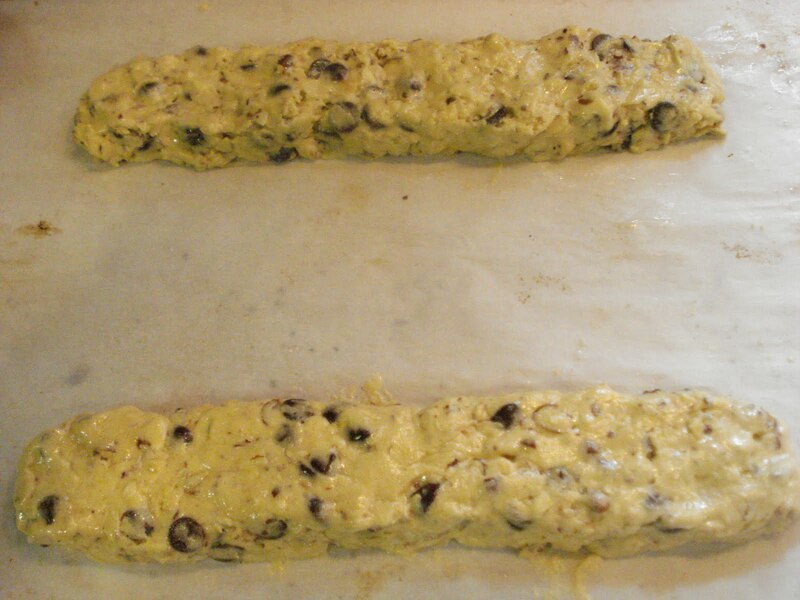 Beat a little of the egg whites and brush the tops and sides of the biscotti, then sprinkle with a little sugar. Bake the logs 20 to 25 minutes, or til lightly golden and firm to the touch. Allow the logs to cool 40 minutes, then slice on the diagonal, using a serrated knife. Lower the oven temp. to 200. Lay the slices on the baking sheet and bake 20 minutes longer. Preheat oven to 325. Line baking sheets with parchment paper. 1. 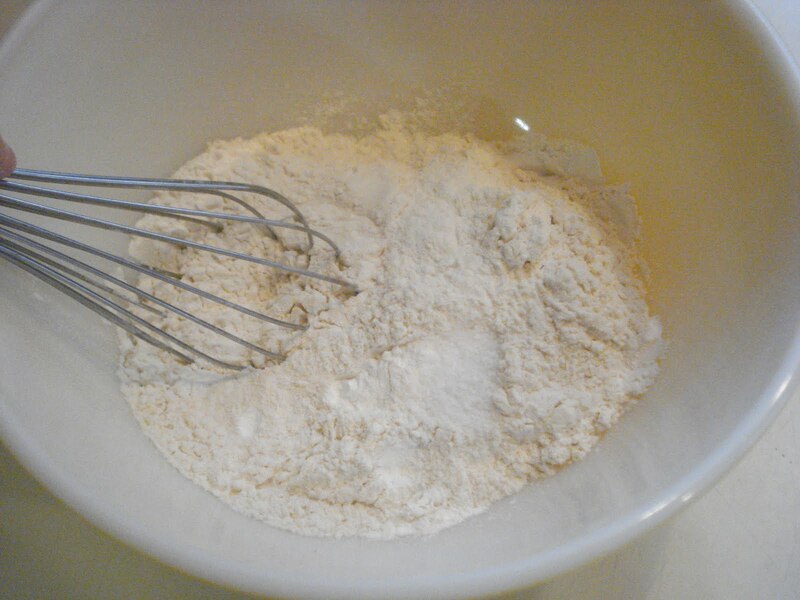 In a medium bowl, whisk together flour, baking powder and salt and set aside. 2. Beat together the eggs, egg yolks and 2 cups of the sugar on medium speed til pale and thick, about 2 minutes. 3. Beat in the vanilla, then the dry ingredients, then the chocolate and nuts, til the dough is thoroughly mixed. 4. 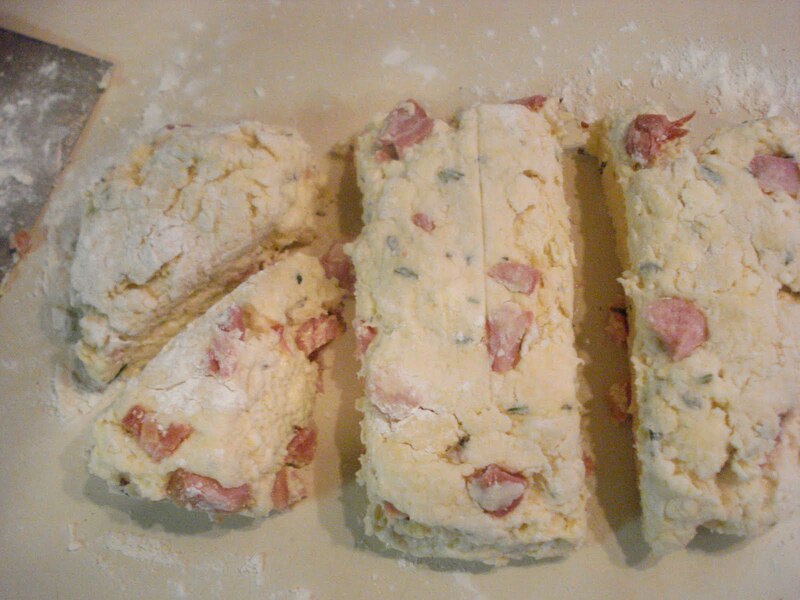 Divide the dough into 5 equal portions. 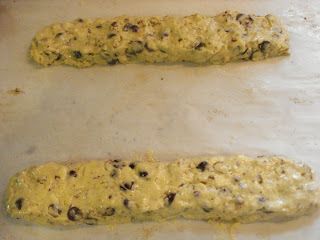 Place each portion onto baking sheet and form into logs about 12" long and about 1 1/2" high, spacing logs about 3" apart. 5. In a small bowl, beat the egg white til frothy and brush the tops and sides of each log, then sprinkle with the remaining granulated sugar. 6. Bake logs 20 to 25 minutes, or til they're lightly golden brown and firm to the touch. Rotate sheets halfway through baking time. 7. 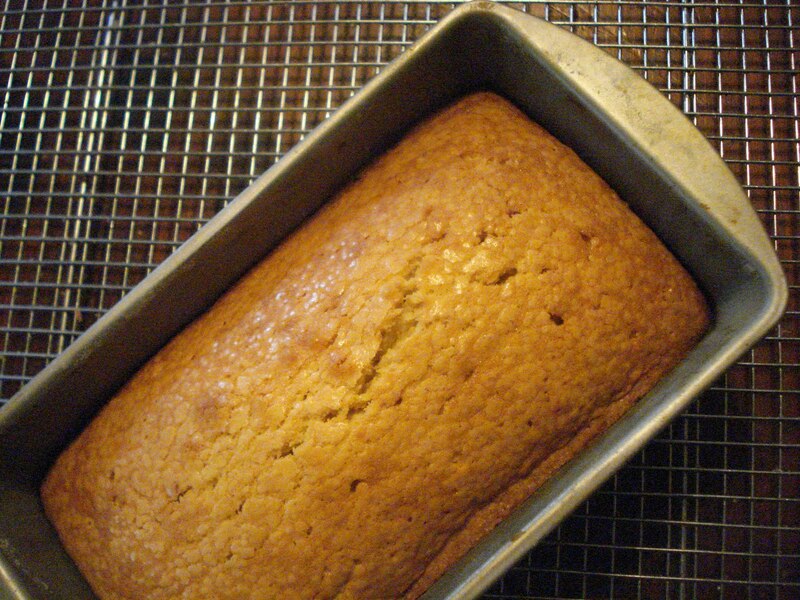 Allow the logs to cool on the baking sheets on a wire rack til they're cool enough to handle, about 40 minutes. Then lift off the sheet and cool further on wire rack. 8. Using a serrated knife, cut slices on the diagonal about 1/2" to 3/4" thick ( depending on your preference but I think because they're hard, they should be cut 1/2"). 9. Lower the oven temp. to 200 and lay the slices in a single layer back onto the baking sheets and bake again 20 minutes. Remember the biscotti will harden as they cool so don't overbake them or they're really be hard! Stor them in an airtight tin for up to 2 weeks. 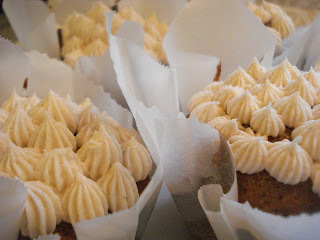 Orange and cardamom...what a great combination! If you love simple (but full of flavor) cakes, then you'll love this one. 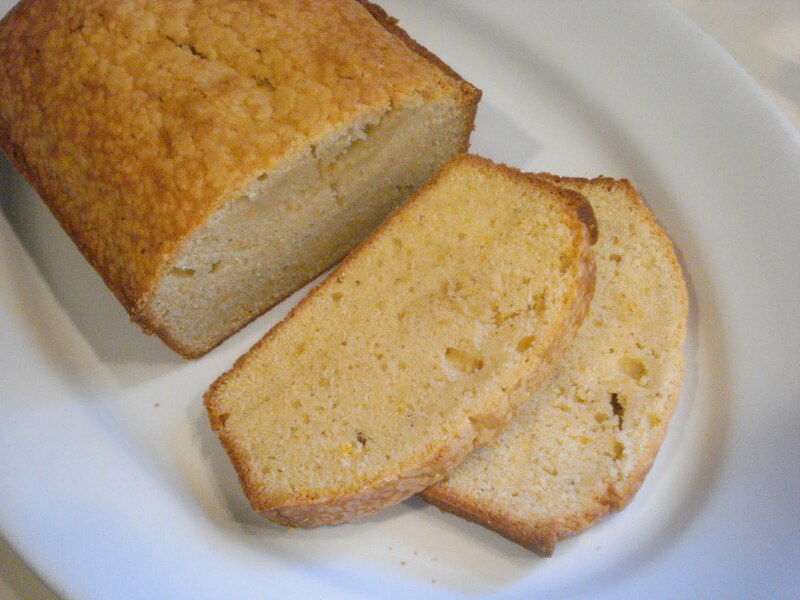 The warmth of cardamom and the bright citrus flavor from the orange make this just a wonderful pound cake. It's dense yet moist and I like it best sliced very thin. I think the flavor is better that way. It would be a great cake to toast or to top with some fresh berries and whipped cream. I have to admit I got a little lazy when it came to the cardamom. 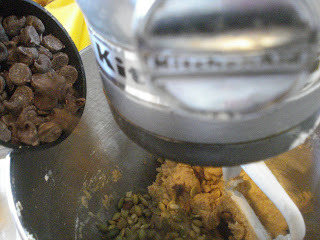 I didn't go the route of getting green cardamom pods and breaking them open to get the seeds to grind. Although this cake is so good, even with just ground cardamom that I honestly think it deserves the freshest ... next time! It's a basically simple cake to make. You cream the butter, olive oil and sugars together til smooth. Mix in a cup of flour, then the vanilla, cardamom, orange zest and juice. Add in the milk and the remaining flour. Pour the batter into your prepared loaf pan and bake for about an hour and 15 minutes. Preheat oven to 350. 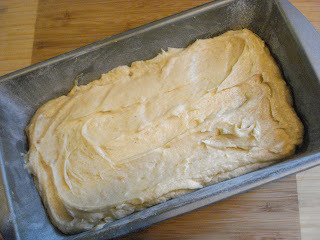 Butter and flour a 9 x 5 x 3" loaf pan. 1. Cream butter, olive oil and sugars together til smooth. 2. Mix in eggs, one at a time, til well blended. 3. 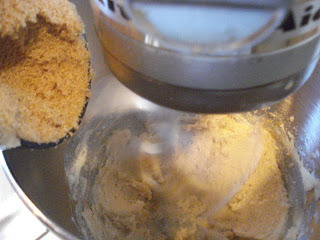 With mixer on low speed, mix in one cup of the flour, then the salt, vanilla, cardamom, zest and juice. 4. Add the milk and the remaining flour. Beat til the batter is smooth but don't overbeat! 5. Pour the batter into your prepared loaf pan and smooth the top. 6. Bake for approx. one hour and 15 minutes, or til toothpick inserted into the center comes out clean, and the edges are browned and just pulling away from the sides. 7. Cool about 10 minutes in the pan, then run a knife along the edges and transfer to a wire rack to cool completely before slicing. It was such a mild day today here in the Northeast that I wanted to spend as much time as I could outside. 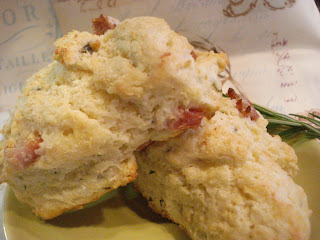 I chose this recipe for that reason, plus I had some pancetta left over from a delicious pasta dish I made the other night called Bucatini with Onion, Bacon and Tomato from Lidia Bastianich's book, "Lidia's Italy". Obviously I used pancetta instead of the bacon and if you're looking for a great dish to make, I highly recommend it. But, as usual, I digress! 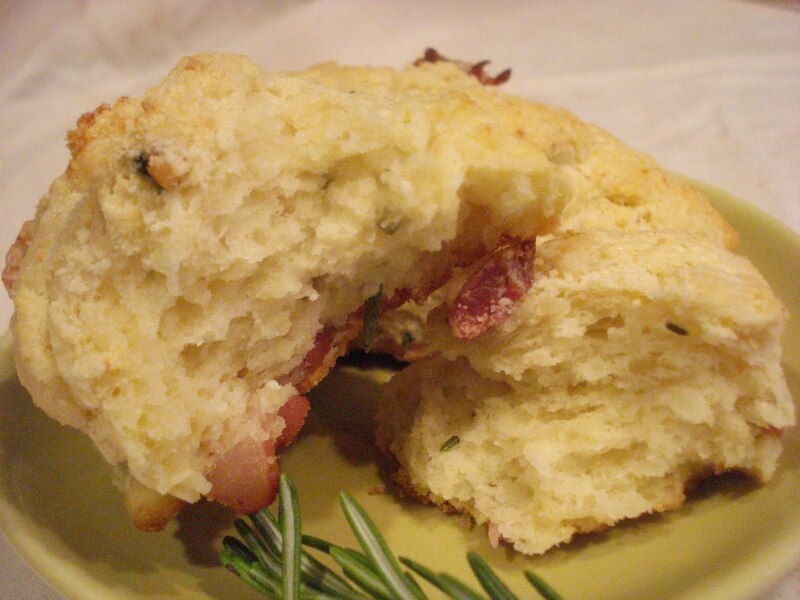 So, having the pancetta already, I knew I wanted to incorporate some other flavors with it and parmesan cheese seemed like an obvious choice and noticing other recipes called for fresh rosemary...that went in, too. Please promise me you'll make them! Fry the pancetta in a skillet to get nice and crispy and browned, then drain on a paper towel and cut into small pieces then set aside. 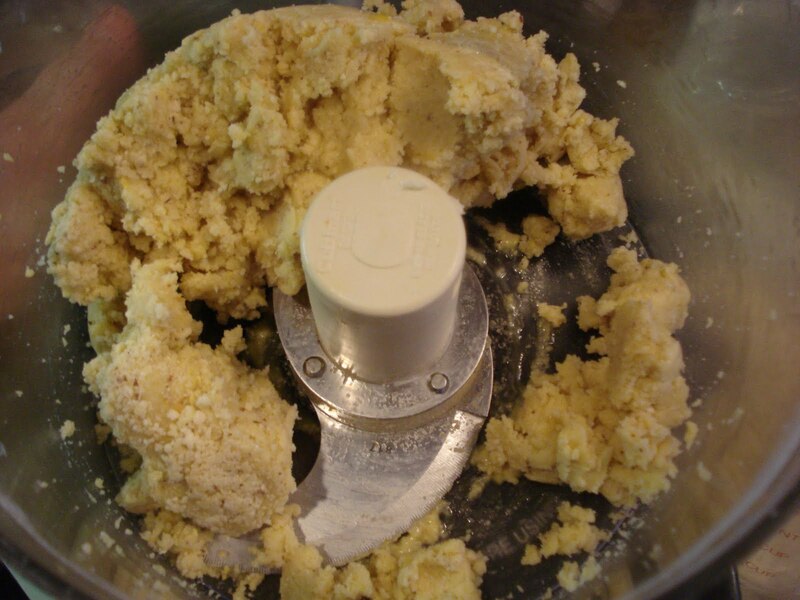 Put the dry ingredients into a food processor and pulse a few times to combine. Add in the parmesan cheese and chopped fresh rosemary and pulse again to combine. Add in the butter pieces and pulse to combine. Transfer the dry mixture into a large mixing bowl. Mix the egg and buttermilk in a little bowl and add into the dry mixture stirring gently with a fork til it's all combined. Then add in the pancetta at the very end and fold in gently with the fork. Dump the dough onto a floured work surface and pat into a rectangle (my personal favorite shape!) or round, making sure the pancetta is evenly distributed. Keep the dough about 1 1/4" high. Cut into wedges or triangles using a bench scraper. Then transfer the scones to a parchment lined baking sheet and brush with cream or half and half or even milk if that's all you have. Bake for about 20 minutes, or til they're nicely browned and a toothpick inserted into the center comes out clean. Also test by feeling the tops, if they're nice and firm they should be done. They're best eaten the same day you make them... really best eaten about 15 minutes just out of the oven! Best warm, and they can also be reheated. So good! 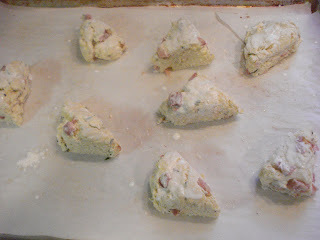 Makes 9 good sized scones but can be cut into smaller triangles. 1. Cook the pancetta til crispy and browned, then transfer onto a paper towel, then a cutting board, and cut into 1/4 to 1/2" pieces and set aside. Trim away excess fat if there's a lot. 2. Place the flour, baking powder, baking soda and salt into a food processor. * Pulse a few times to combine. 3. Add in the cheese and rosemary and pulse again to combine. 4. Add the butter pieces and pulse til mixture resembles coarse crumbs. 5. Transfer the mixture to a large mixing bowl. 6. Beat the egg and buttermilk in a small bowl, then add into the flour mixture and gently stir with a fork, being sure to incorporate all the dry. If the mixture looks too dry, add in more buttermilk a tablespoon at a time. Don't overwork the dough. Just stir enough to moisten. 7. 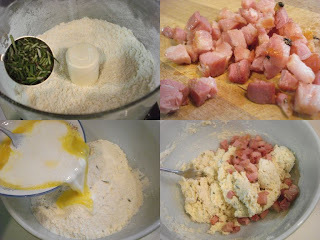 Gently fold in the pancetta pieces, just til blended. Using a bench scraper or heavy knife, cut the dough into triangle or wedge shapes and place on the parchment lined baking sheet. 9. Brush the tops with the cream or half and half and bake for 15 to 20 minutes, or til nicely browned and firm when you press down on them. Also test by inserting a toothpick into the center. If it comes out clean, they're done. Optional: About 5 minutes before the scones are finished baking, sprinkle a little more cheese on top of each scone. *Note: You don't need to have a food processor to make scones, it just makes the process a whole lot easier and quicker. I used to make them all the time without a food processor. You'll need to just place all the dry ingredients into a large bowl, then add in the butter pieces and work them in with your fingers. Then proceed with step 6 above. The dough needs to be cold, so if you think the butter is getting too soft, place the bowl into the freezer for about 10 minutes to chill before adding in the egg and buttermilk mixture. This cookie recipe is from a book I just bought called, "Chocolate Bar" by Matt Lewis and Alison Nelson. The same Matt Lewis from the well known Brooklyn bakery, Baked. He had a shop before Baked in Greenwich Village, called Chocolate Bar; a kind of candy store for grown ups. 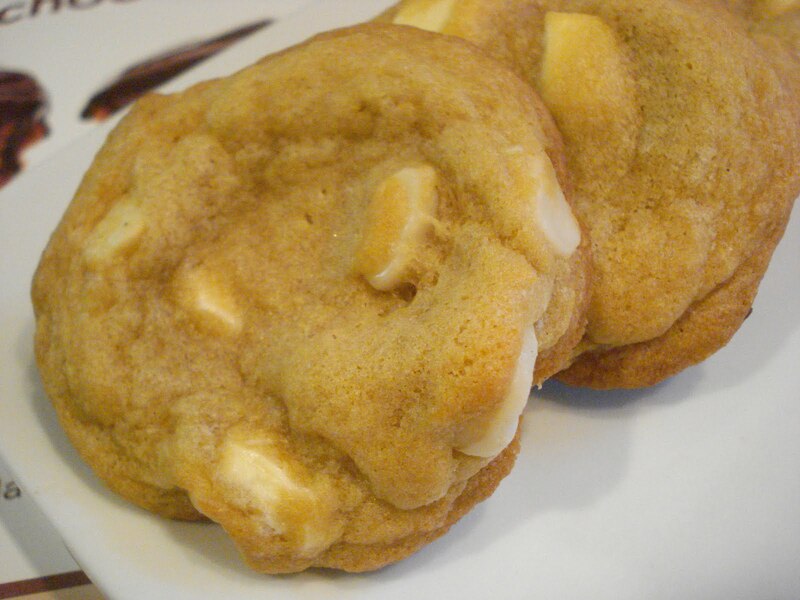 So I looked forward to trying out some of the recipes in the book and the first one I tried was this cookie. 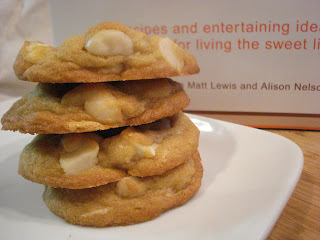 White chocolate and macadamia nuts...what a great combination! This cookie is rich and buttery not just from the butter used in the recipe but also from those buttery tasting macadamia nuts. 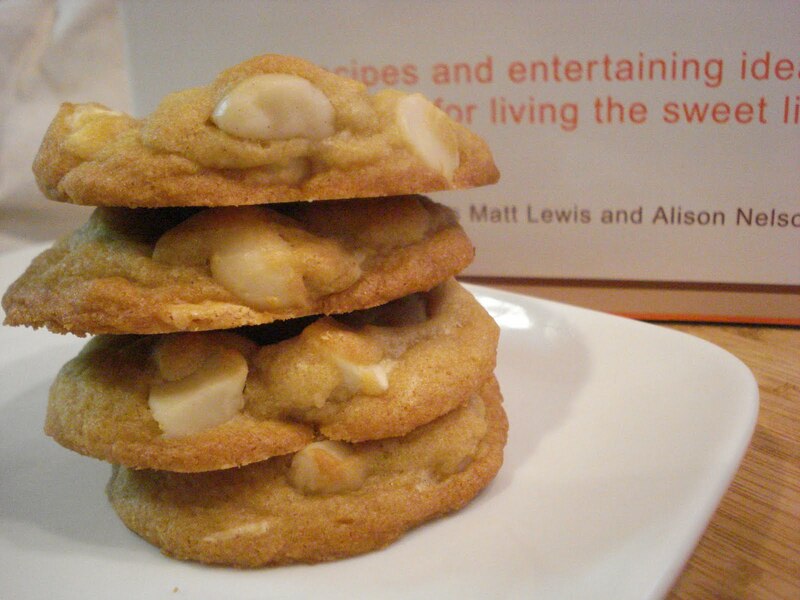 The white chocolate adds a slight sweetness and pairs so well with the nuts. I got all my ingredients together and started making the dough when I realized the recipe says to chill the dough for at least 6 hours. Oh no! I don't want to wait that long. I needed to show you these tonight! So I just popped a few into the freezer for about 10 minutes, then baked them. Guess what...they still turned out great but I can't wait for tomorrow when I'm sure they'll be even better...if that's possible! Cream the butter and both sugars in a mixing bowl til smooth. Add the eggs and vanilla and beat til very fluffy. Sift the flour, baking soda and salt together in a small bowl and then add to the creamed mixture, mixing thoroughly til the batter is smooth. 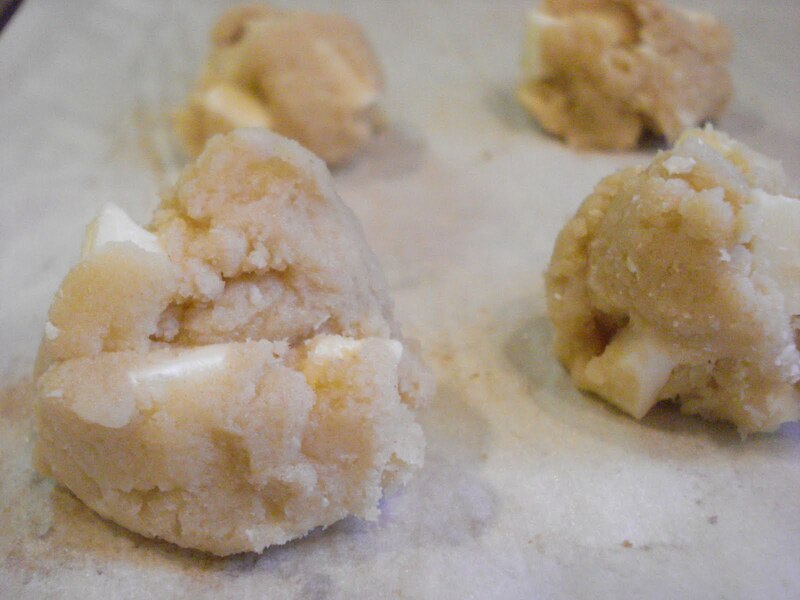 Stir in the white chocolate chunks and the nuts and mix til just combined. At this point you chill the dough. After the dough has chilled, scoop out tablespoonfuls onto an ungreased baking sheet. Bake the cookies for12 to 15 minutes. Once baked, allow the cookies to cool on the baking sheet 8 to 10 minutes. Then transfer to a cooling rack. White Chocolate Macadamia Nut Cookies ( from "Chocolate Bar" by Matt lewis and Alison Nelson) Recipe originally from Tammy Ogletree of CookieChick. Makes 20 to 24 cookies. 1. Sift the flour, baking soda and salt together in a small bowl and set aside. 2. In a mixing bowl, cream the butter with the sugars til smooth. 3. Add the eggs and vanilla, beating til very fluffy. 4. 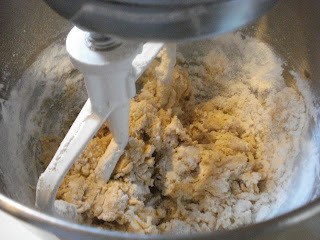 Add in the flour mixture, mixing thoroughly til the batter is smooth. 5. 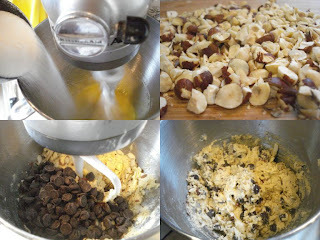 Stir in the white chocolate chunks and nuts and mix til blended. Chill the dough for at least 6 hours. 6. 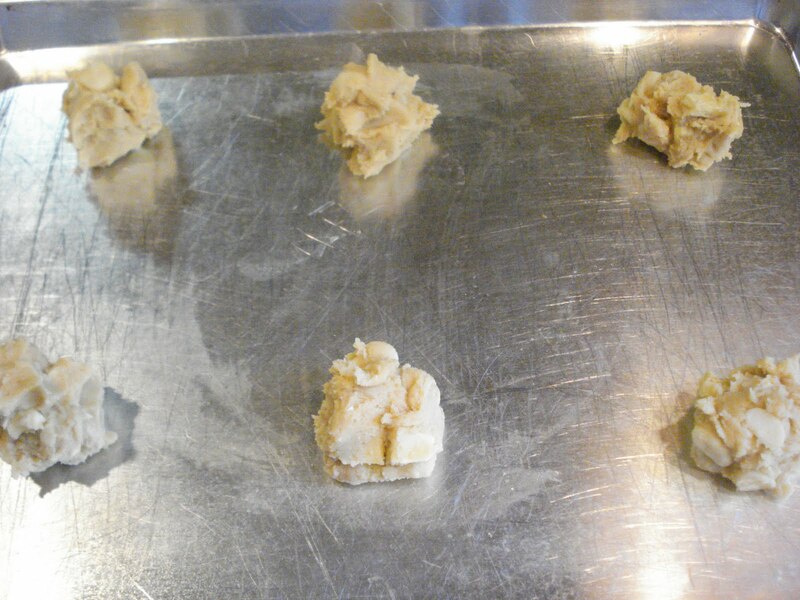 Once chilled, drop the dough by tablespoonfuls onto an ungreased baking sheet, spacing about 2" apart. Bake 12 to 15 minutes. 7. 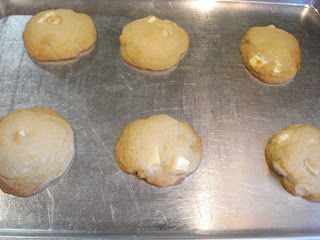 Let the cookies cool on the baking sheet for 8 to 10 minutes, then transfer to a cooling rack. 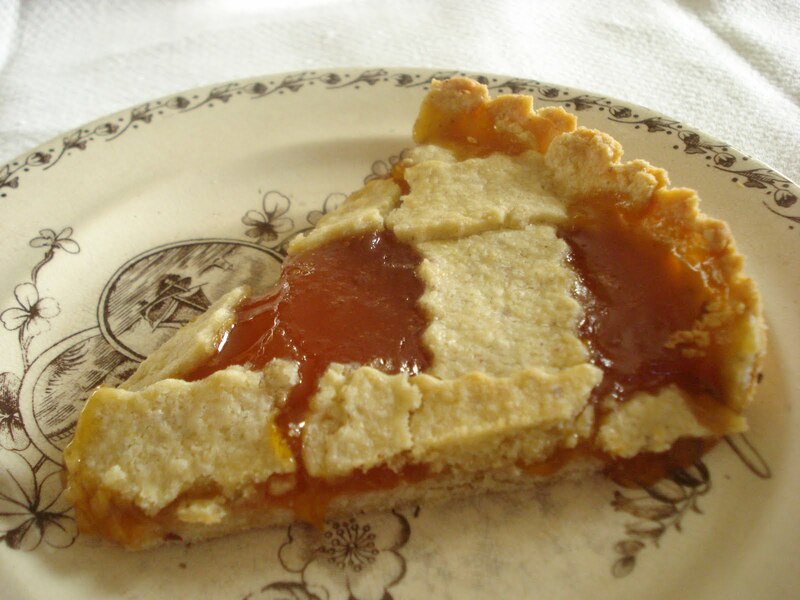 This tart or crostata is a recipe from Mary Ann Esposito's show, "Ciao Italia" . 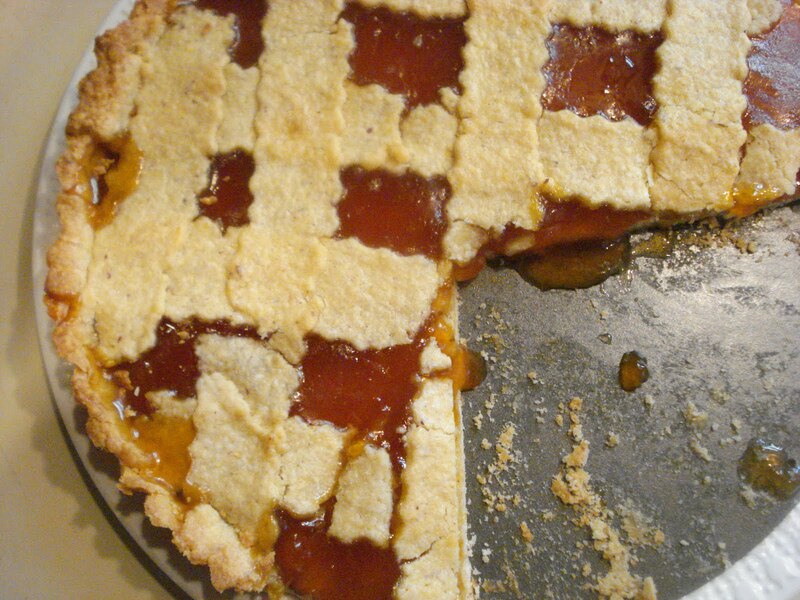 It's Italian name is Crostata di Marmellata. I have to say it was a little tricky to make the dough (so, don't laugh at the photos!). I did my best:) Lots of patching on the lattice strips. It looked so darned easy when she was making it on her show and considering the quick process of putting it together with a food processor, it actually is pretty quick and easy. The tricky part comes when rolling out the dough. I kept the dough in the fridge way longer than suggested, which is always a good thing. But I needed to keep sprinkling flour over the dough each time I repositioned it between two sheets of plastic wrap. But it came out delicious and you can certainly use any flavor jam you prefer. I just happened to have enough apricot in the house but I think raspberry would be great, too. Maybe a few dollops of whipped cream over the patched areas? Then no one will notice! This would be a wonderful dessert after a big meal. 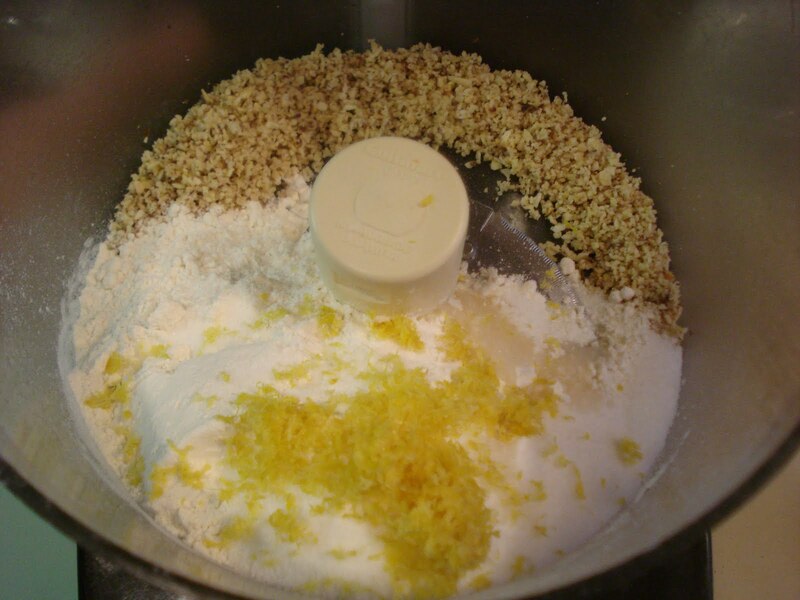 Whirl the almonds in the food processor, then add in the flour, salt, sugar, almond extract and lemon zest and whirl again til blended. Grate the frozen butter and add it into the mixture, pulsing several times. 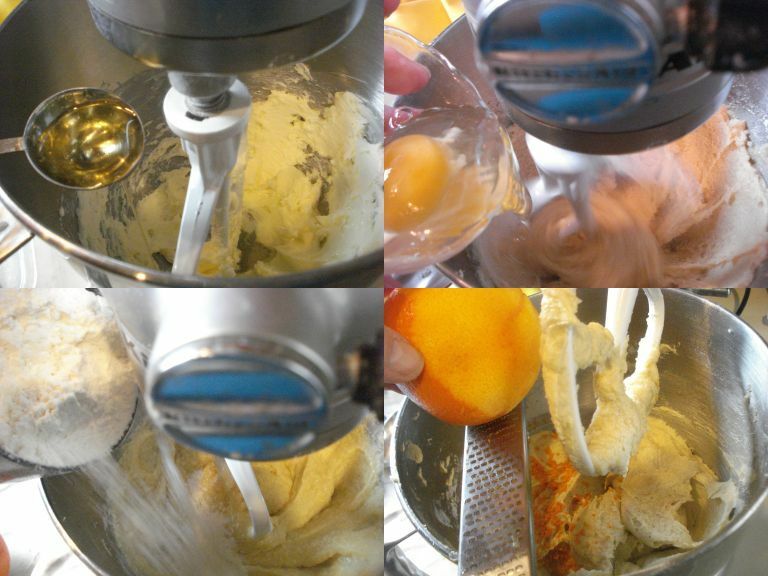 Through the feed tube of the food processor, add in the egg and egg yolk gradually til it begins to form a ball. Place the dough onto a piece of plastic wrap and form into a disc. Wrap it up and chill in the fridge for at least an hour but longer is better. Once it's chilled, roll cut off about a one third section ( for the lattice strips) and place that section back into the fridge. Roll out the remaining dough between two sheets of plastic wrap, sprinkling lightly with flour if it is sticky (like mine was). 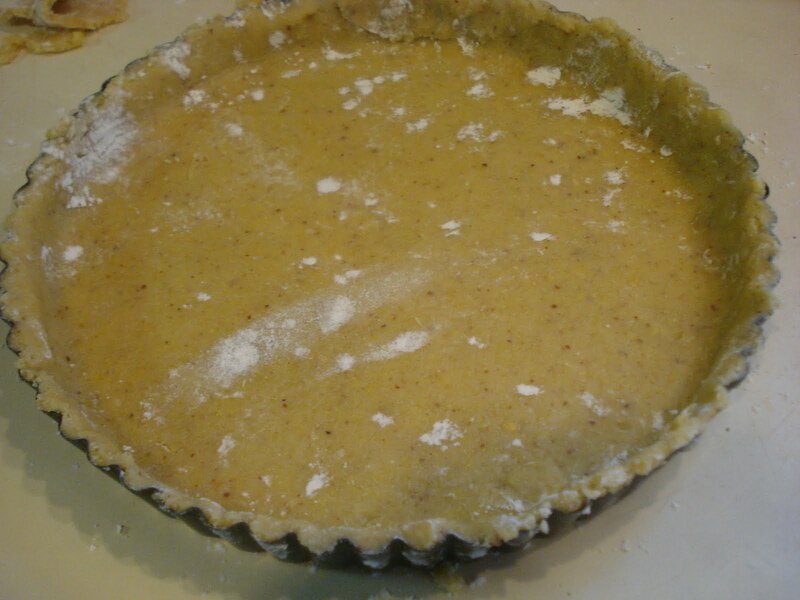 Place the dough into the tart pan and trim the excess from the edges. Spoon the jam into the unbaked shell and roll out the strips for the lattice tops cutting 1" wide. Place the strips on the top either overlapping or weaving over and under. Place the tart onto a baking sheet and bake about 40 minutes. 1. 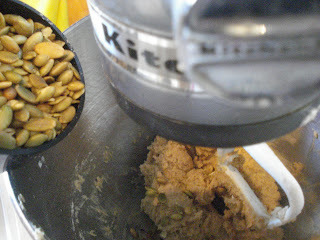 Whirl the almonds in a food processor to a fine consistency but leave a little texture. 2. Add flour, salt, sugar, almond extract and zest and whirl again til blended. 3. Add grated butter and pulse several times. 4. Beat the egg and egg yolk slightly, then add to the mixture gradually through the feed tube til a ball just begins to form. 5. Place the dough onto a piece of plastic wrap and pat into a disc. Wrap it up and place in the fridge at least an hour but longer is better. 6. Once the dough is chilled, cut off a 1/3 section ( for the lattice strips) and place that back in the fridge. Then roll the remaining dough between 2 pieces of plastic wrap, sprinkling lightly with flour if it becomes too sticky as you work it. 7. Place the dough into a tart pan with a removable bottom. 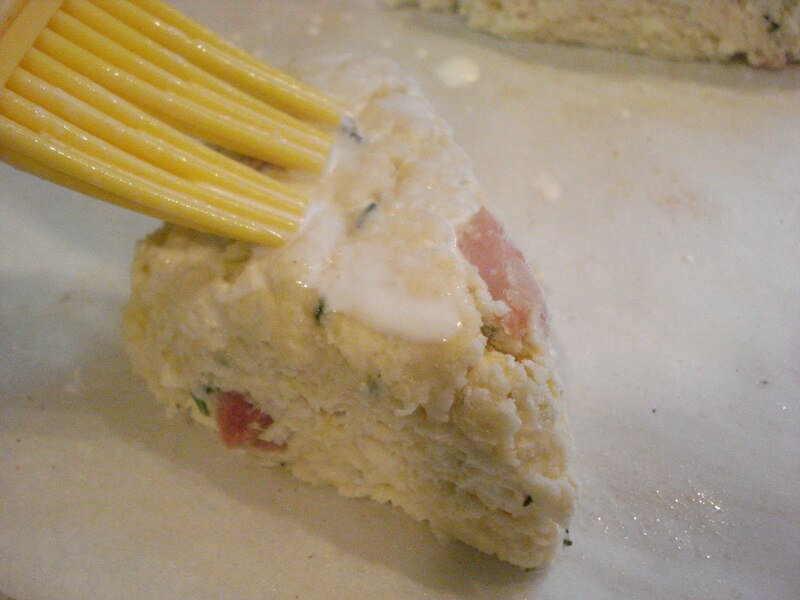 Gently ease the dough into the pan and trim away any excess along the edges. 8. 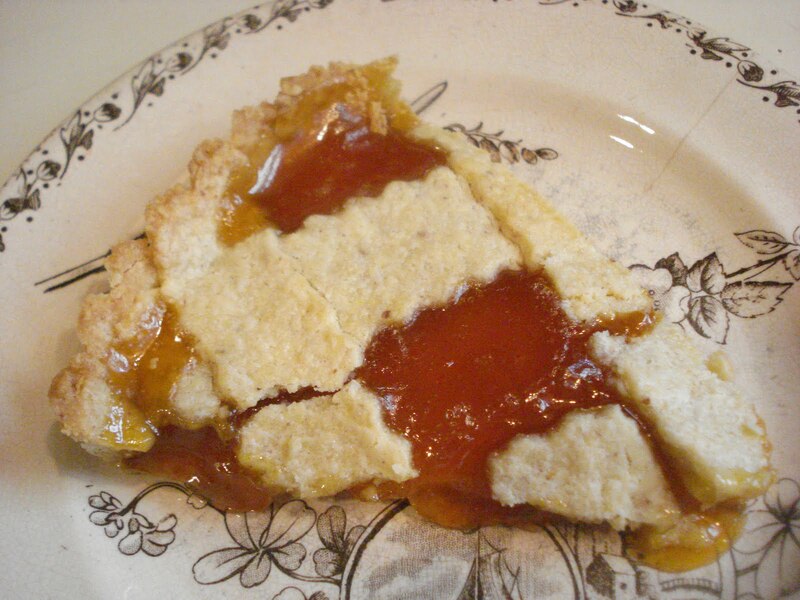 Spoon the jam into the unbaked shell and roll out the remaining dough and cut into strips about 1" wide. Place the strips on top, either overlapping or weaving over and under each other. 9. Place the tart onto a baking sheet and bake at 400 degrees ( if your oven runs hot, you should lower the temp. a little so as to not brown the crust) for about 40 minutes or til the jam is bubbly and the crust nicely browned. ( If necessary, wrap a little foil over the edges if they brown too quickly before the rest of the dough browns. Cool in the tart pan at least an hour, then remove the outer ring and place on a decorative plate for serving.